Children in the mountain town of Orocovis returned to school two weeks ago after a two-month pause following Hurricane Maria. The school doesn't have electricity, so it lets out at 12:30 pm. Children do crafts during the after-school program. Organizers hope the activities will give kids a sense of normalcy and routine. 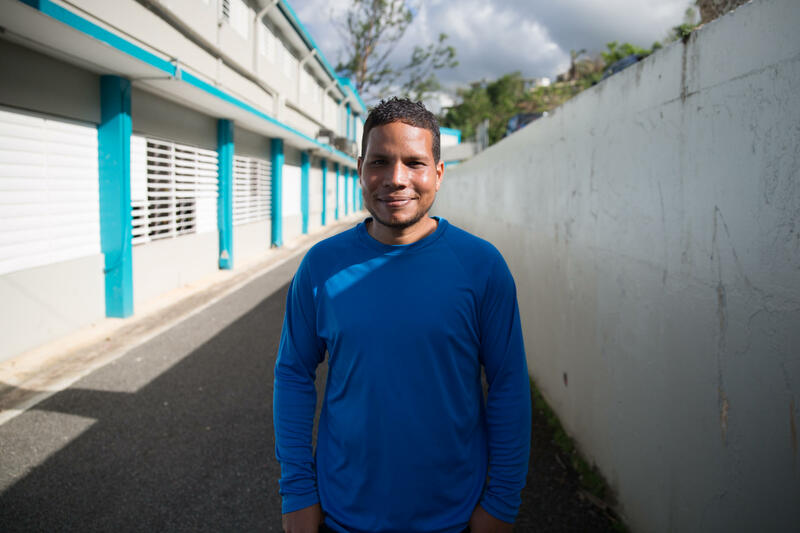 Giovanni Caballero Fuentes of Orocovis, Puerto Rico says he hopes his kids learn to deal with life without electricity, without water, and without technology. 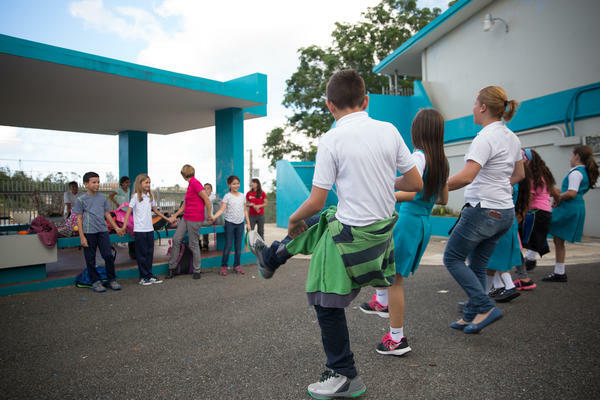 Children play a game in a schoolyard in the mountain town of Orocovis, Puerto Rico. 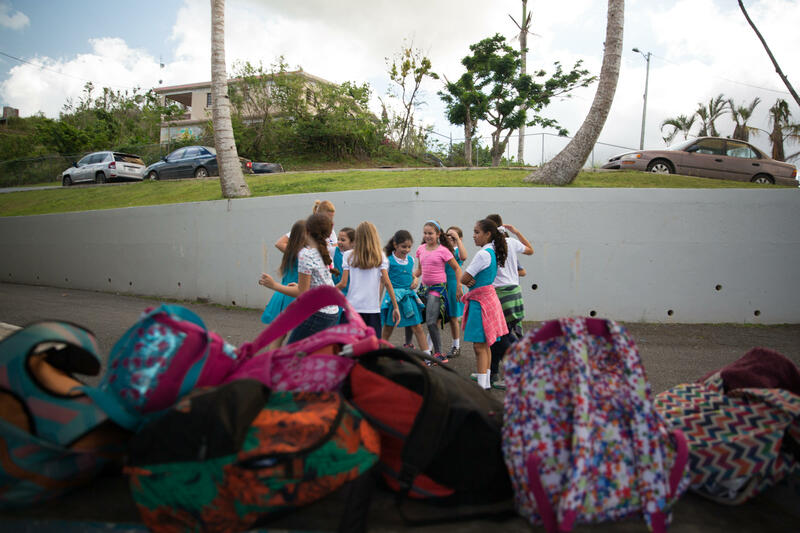 The after-school program in Orocovis, Puerto Rico includes gardening, arts, and outdoor play time. "Back to basic," Caballero Fuentes said. He and his kids play board games at home, and they look for other ways to distract themselves. Still, his 10-year-old daughter Nadjah said she is happy to be in the after-school program. 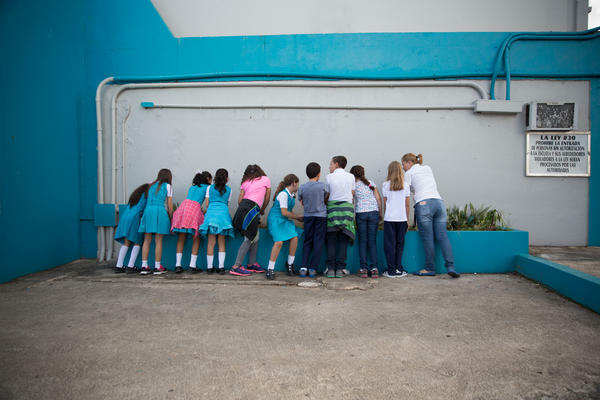 "Even though we don't have electricity, and sometimes we don't have water, they're turning back to that ... this is our new normal," Soto Santiago said. "And they're able to handle it." A school superintendent in western Massachusetts has asked the state board of elementary and secondary education not to renew a charter school. 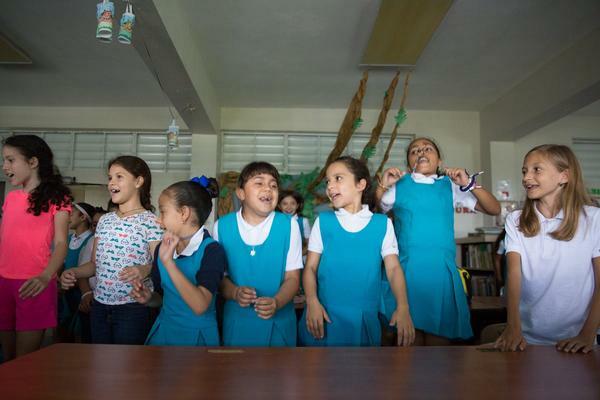 Massachusetts schools will now have more options for how they educate students learning the English language, under a bill Gov. Charlie Baker signed into law Wednesday.